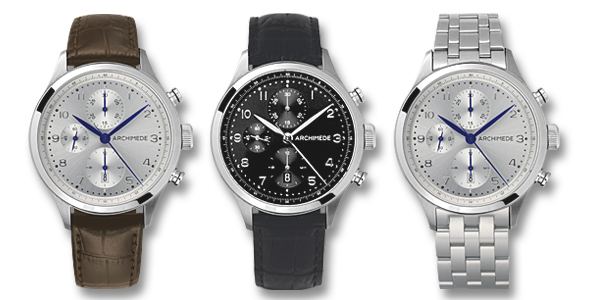 The Klassik Chronograph has found many friend and we have not changed the design yet. 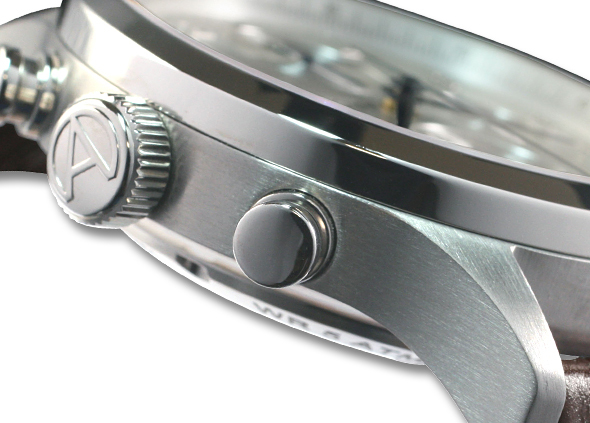 Now we think it is time to adjust the appearance of the watch. Not a complete re-design but small changes. Obviously the new pushers are different. They have a more imposing look and more distinguished look. Yet not only the pushers are changed. We also reduced the diameter of the crown from 8mm to 7,3mm as we think this size more suitable to the overall design of the Klassik Chronograph. Finally the bezel is a bit thinner than before (5mm in diameter). 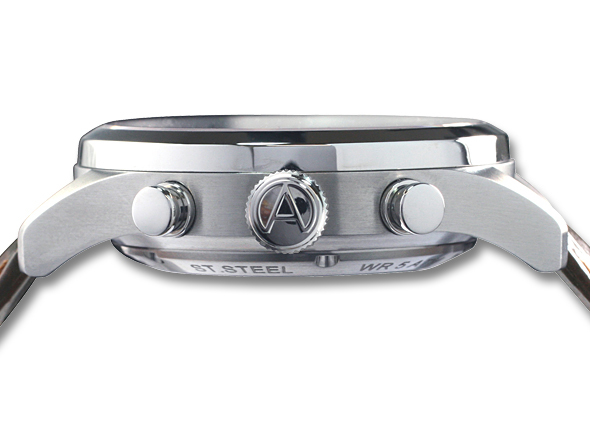 All together these destinctive changes give the watch a more elegant and valuable appearance. Despite the re-design the prices remain still the same. 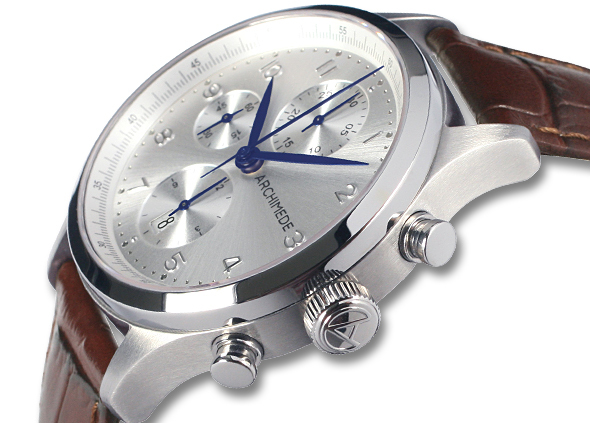 The Klassik Chronograph starts at EUR 1495 (incl. VAt), Price without VAT EUR 1,256.30 and can be ordered in our ARCHIMEDE OnlineShop. 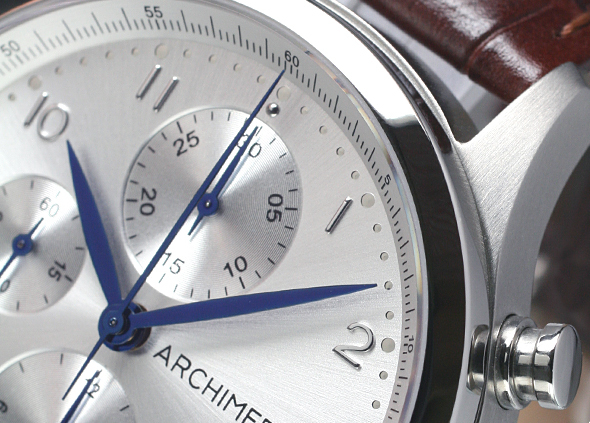 For any questions please write a comment, contact us directly by mail info@archimede-watches.de or on Facebook.